Welcome to I Think Thursday! It’s the first weekly series in this little space, and I hope you like it. The idea is to highlight a few things worth thinking about (be they funny, insightful, inspirational or delicious) every week. Here we go! My cookbook, Sheet Pan Suppers, is now available for pre-order! (I don’t think this, I know it.) 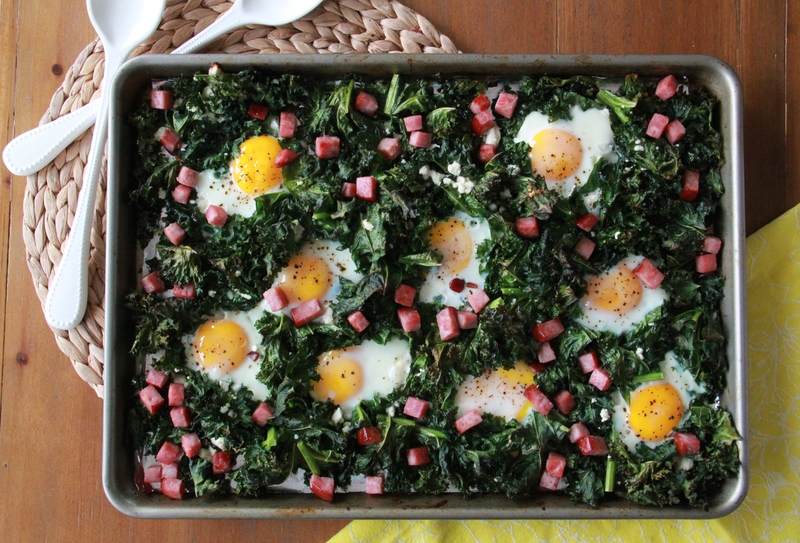 If you want to learn how to make Greens & Eggs & Ham (above), go ahead and grab one now – it’ll be at your doorstep on December 2nd! Every woman should read about The Shine Theory. #Beyonce. As a kid’s cooking instructor, I found this video particularly hilarious/adorable. I think you guys should know about Ileana’s blog. Do you know it? I love it. Have you ever heard of an “Articles Club?” I’d totally join one. These doughnuts are worth revisiting. I’m really proud of my friend Katherine’s new business. She’s helping to turn around underperforming schools in the Boston area. GO, Kath! Sarah continually blows my mind with her amazing recipes and photos. That Brownie Tart with Salted Caramel looks insane. …So? What do YOU think? Let me know in the comments! Happy almost-weekend, friends! I think this is fun! I also think you are cute. And a bride. Love love love this feature!! I have been obsessing about your book and #bootybooty 🙂 So much fun, such great stuff!! !